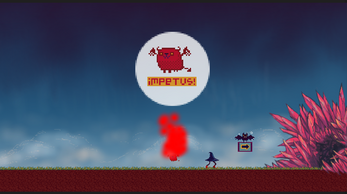 Impetus is a Global Game Jam 2014 submission made by a team of 4 people. The theme for 2014 was "We don't see things as they are, we see them as we are." We decided to incorporate the theme by making a cooperative two player game where one player sees a different environment than the other player. We also wanted to avoid networking, and this is why our game has weird hardware constraints: You must play this game with two 1080p monitors. The reason for this is that we face the monitors opposite of each other and stretch the screen in windowed mode across both monitors in order to achieve the effect of two people playing together on the same computer and still have them see different screens. 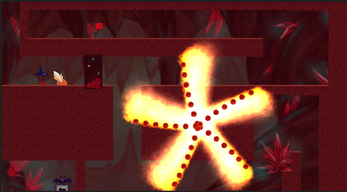 You can find the Global Game Jam submission page here. You must have two 1080p monitors to play this game and two Xbox 360 controllers. You can also try using x360ce to emulate the controllers. In order the play the game it was meant to be played, face the screens in opposite directions so that a player can be seated on both sides without being able to see what their partner is doing.